WASHINGTON — The Air Force’s top official on Tuesday stood behind a controversial decision to scale back media engagements while its public affairs apparatus goes through additional operational security training. The service on March 1 temporarily halted media embeds, base visits and interviews until public affairs staff and Air Force officials who regularly speak with the press complete the retraining, Defense News learned earlier this month. The decision unleashed a public relations nightmare for the service, with some members of Congress and former Air Force officials stepping forward to voice concerns the short-term freeze could have longer-term implications for the service’s willingness to engage transparently with the public. 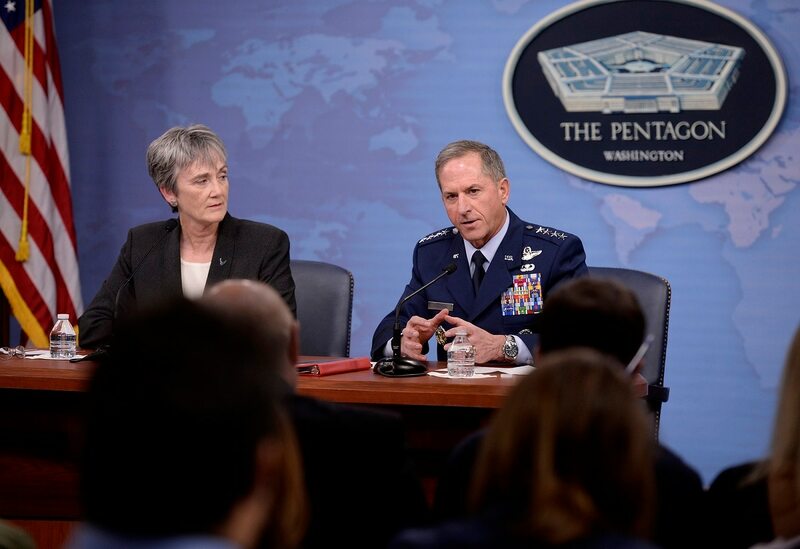 Speaking to the House Armed Services Committee on Tuesday, Air Force Secretary Heather Wilson doubled down on the decision to go forward with the retraining period, a call that was made by herself and Air Force Chief of Staff Gen. Dave Goldfein. However, Defense News began investigating whether a memo existed after noticing a growing resistence by Air Force officials to talk about readiness or future capabilities, as well as hearing accounts from reporters who had interviews canceled or delayed. HASC Chairman Mac Thornberry, R-Texas, told reporters after the hearing that he has spoken to Defense Secretary Jim Mattis before about how to best balance keeping the public informed without giving away sensitive information. “Public support is essential for support of our military, and transparency is an important feature of our system. We don’t want to be dumb about it and give adversaries a leg up on us by disclosing things we shouldn’t. And there is always a tension going back and forth,” he said. However, exactly what constitutes as “too sensitive” was not made clear, even within the “public engagement reset” guidance released on March 1. The seven-page memo lays out a list of potential operational security risks, but many of the items contained in it — such as the “number, location and capabilities of operational assets” or descriptions of the types of scenarios that occurred during a military exercise — are frequently written about not only by the mass media but by Air Force public affairs. After the hearing, Rep. Mike Gallagher, R-Wis., who asked Wilson about the public engagement guidance during the hearing, said that by not talking about some of its problems, the military puts itself at risk of not getting the funding it needs from Congress. If the military is up front about its shortfalls, defense-minded lawmakers can more easily get the rest of Congress on board with a funding hike, he said. Thornberry stopped short of criticizing the Air Force’s decision to scale back the information it shares with the public, but he noted that he has “some concerns” about the service’s decision to suspend much of its public affairs apparatus while retraining occurred. Leo Shane III contributed to this story.